We prepare our St. John's Wort Oil from fresh (undried) flowering & budding tops of Hypericum perforatum plants, which are Sustainably Wildcrafted in their natural wild habitat. To assure optimal extraction of St. John's Wort's rich red pigments, the uppermost tops of the plants are hand-harvested, and then are extracted, while still fresh & succulent, into Certified Organically Grown, cold-pressed Olive Oil. FOR EXTERNAL USE ONLY. 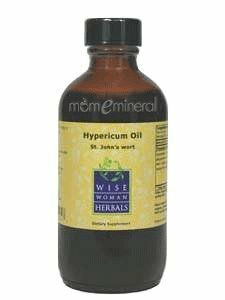 Botanical Name:Hypericum perforatum Extraction Method: Infused in organic refined olive oil Country: USA Description: St. Johns Wort oil is a powerful antioxidant. The oil is used for skin problems, for fatty and dry skin, prevents dehydration, normalizes skin structure, and reduces inflammations and itching. This oil also relieves from some skin infections. St. Johns Wort oil is good for reducing dandruff and boosting hair growth. Due to its sedative properties St. Johns Wort restrains inflammations and soothes nervous system. The oil has absorbable and regenerating properties. The oil is not used in pure form, but as an addition of 10-20%. This oil is helpful for sensitive and allergic skin. The product is 100% natural and is made from the best herbs without dyes, additives and preservatives. Infused oil With Certified Organic Olive Oil & St John's Wort (Hypericum perforatum) Flowers. Extraction method : Cold pressed We prepare our St John's Wort Oil from the flowers and leaves of St John's Wort plants which have been Certified Organically Grown in our Farm and then carefully Shade - Dried to retain their full color, aroma and ingredients. The Flowers are extracted with low heat into cold-pressed certified organic olive oil. St John's Wort (Hypericum perforatum) is a 100% organic herb with long tradition of therapeutic properties. Its oil extracts from the floral tops of the herb. St John's Wort infused in olive oil, has numerous healing effects. In Greece it is known as "spathochorto" referring to its ability of healing sword wounds. -- You will not find strongest infused oils. Compare our colors to other oils on the market, most of which are pale, our oil is much deeper. 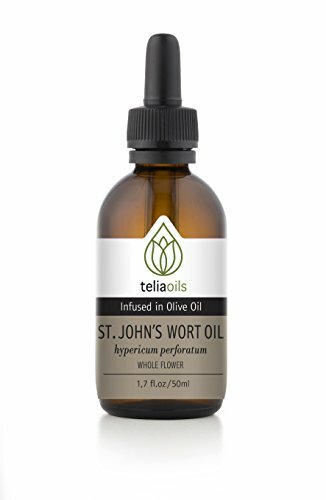 Open a bottle of our St John's Wort infused oil and you rewarded with the fragrance of the St John's Wort, not the smell of the Olive oil. We use the best Organic Olive oil and add there fresh dried St John's Wort flowers. The oil and the herb mixture warmed for a week, then is drained and recharged with more fresh dried St John's Wort flowers. -- This procedure repeated for 3 times and we create a triple-infused therapeutic oil. -- We add in our oils double quantity of St John's Wort than other producers. -- The last secret that makes our oils more effective is that we produce them with ....a lot of love. That's why our infused oils are the best -- These oils also make excellent bases for salves, creams and lotions. 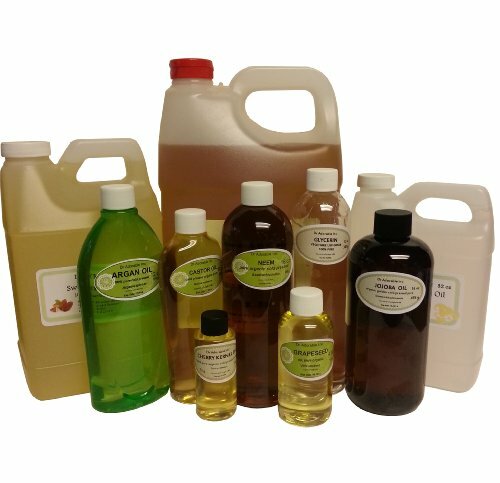 -- Our oils are made fresh every growing season. They are the freshest, most vibrant oils on the market. -- Each one includes expiration date. St John's Wort oil will last up to 3 years if kept cool and dark. -- These oils are not to be confused with essential oils, which are generally a product of distillation. 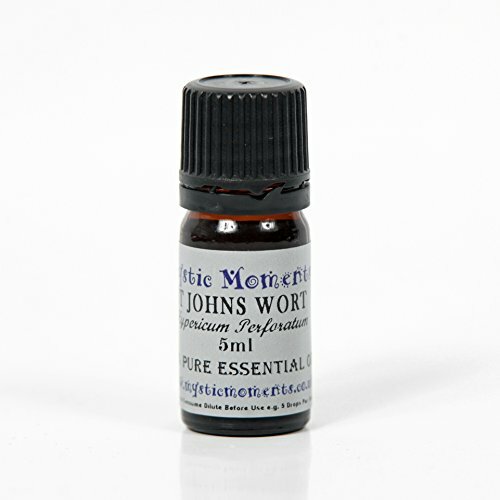 St john's wort essential oil 5ml - 100% pure botanical name: hypericum perforatum common name: st john's wort plant part: flowering tops extraction method: steam distilled note: middle strength of aroma: medium aromatic scent: sweet, grassy aroma with floral notes. caution: use with caution. Not to be used during pregnancy. 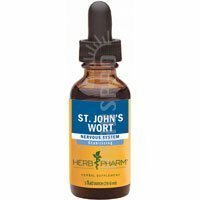 Promote positive mood and emotional balance with St. John's Wort liquid extract from Herb Pharm. We prepare our St. John's Wort Extract from fresh (undried) flowering & budding tops of Hypericum perforatum plants which are Sustainably Wildcrafted in their natural wild habitat. The plants are hand-harvested while in full flower and are then promptly extracted while still fresh & succulent. Seek expert medical advice before taking St. John's Wort with medical drugs. Avoid intense exposure to sunlight or UV light while taking St. John's Wort. St. John's Wort Oil, 1 oz. Ingredients: Fresh, organically grown Hypericum perforatum flower & leaf. Olive Oil. Fresh Herb Strength: 1:1. 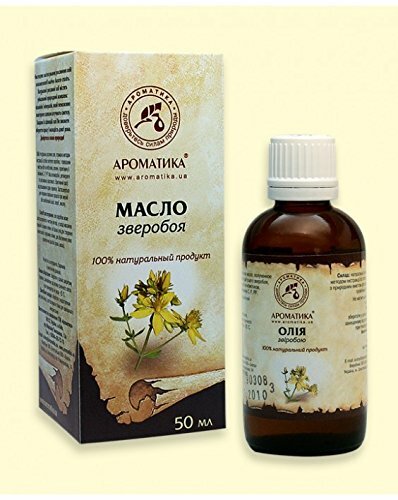 Botanical Name: Hypericum perforatum Extraction Method: Infused in organic refined olive oil Country: USA Description: St. Johns Wort oil is a powerful antioxidant. The oil is used for skin problems, for fatty and dry skin, prevents dehydration, normalizes skin structure, and reduces inflammations and itching. This oil also relieves from some skin infections. 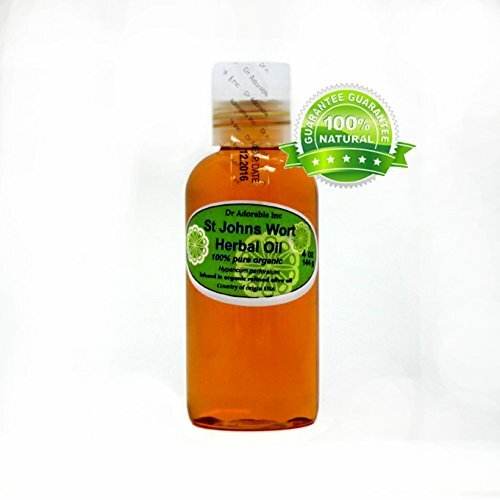 St. Johns Wort oil is good for reducing dandruff and boosting hair growth. Due to its sedative properties St. Johns Wort restrains inflammations and soothes nervous system. The oil has absorbable and regenerating properties. The oil is not used in pure form, but as an addition of 10-20%. This oil is helpful for sensitive and allergic skin. The product is 100% natural and is made from the best herbs without dyes, additives and preservatives. 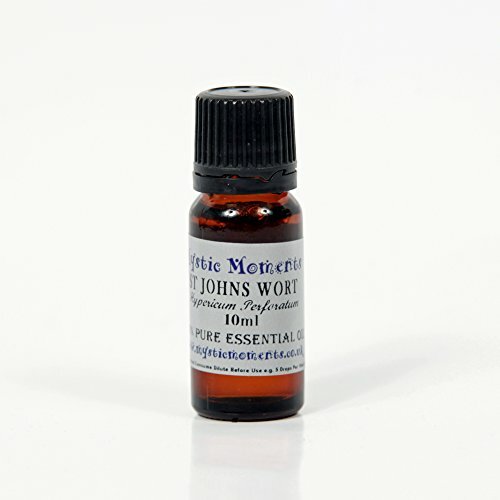 St Johns Wort Essential Oil 10ml - 100% Pure Botanical name: Hypericum perforatum Common name: St Johns Wort Plant part: Flowering tops Extraction method: Steam distilled Note: Middle Strength of aroma: Medium Aromatic scent: Sweet, grassy aroma with floral notes. Caution: Use with caution. Not to be used during pregnancy. St. John's Wort Infused Oil Organic by Simplers Botanicals 1 oz Oil St. John's Wort Infused Oil Organic 1 oz Oil Certified Organic An herbal oil traditionally used for minor wounds and burns skin irritation muscle and nerve pain and bruising. Directions Apply liberally to skin as needed. Avoid application on or near an open wound. Keep out of reach of children. For external use only. Other Ingredients Organic fresh tops of St. John's Wort (Hypericum perforatum) infused in organic extra virgin olive oil. Herb to menstruum ratio 12. Warnings Keep out of reach of children. As with all dietary supplements consult your healthcare professional before use. See product label for more information. There are intriguing myths and folklore associated with aromatherapy and essential oils. Essential oils-the fragrant, concentrated liquids extracted from the flowers, leaves, roots, bark, and fruit of an aromatic plant-are the main ingredients in aromatherapy treatments. There are many, many essential oils ranging from spices and herbs to fruit extracts and florals. Each oil has a unique scent and properties that can be applied to many different conditions.